A versatile, portable combo with a wealth of tones and features. Perfect for the studio or a small club, the AV30 is a fully-featured analog amp that packs decades worth of tones into a compact package. The AV30's unique multi-circuit analog pre-amp utilizes a 12AX7 tube to provide a full complement of clean, crunch, overdrive, and high gain tones that can be tailored to your liking via the Bright and Fat switches. These classic tones are further enhanced by a customizable tube equipped analog power section and a unique, sealed speaker enclosure for improved resonance. Rounding out the feature set are three, analog-voiced digital effects including Chorus, Delay and Reverb. 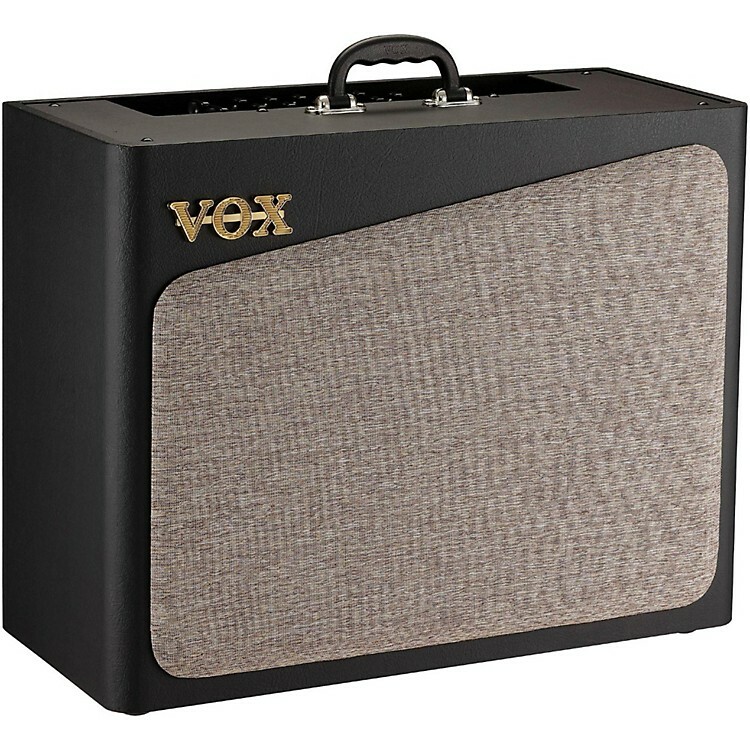 The AV30 from VOX is a incredibly versatile amplifier that is packed with pure, analog tone. Dimensions: 20.2 in. x 9.72 in. x 18.66 in.